The well in Abbeyfeale is in the townland of Dromtrasna North on the lands of Mr Nicholas Cotter. Mr. Cotter is a cousin of Bishop Timothy Cotter who is a bishop with the Augustinians in Maiduguri, Nigeria. 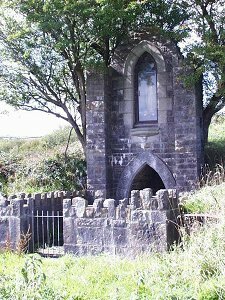 The well is locally called the Killeenagh Well but is also known as Tobermurry. The well is also dedicated to St Ita. The old road from Killeedy to Abbeyfeale used to pass right beside the well and there was a village situated at this point. Today, the well is situated about a mile off the road. Devotions take place each Saturday during the month of May, and mass is also held here. The statue was erected at the well during the 1960s and it is said locally that the stone from the famine church was used in the building of the wall at the well. The stream beneath the well flows into the river Allaughan. The well has never run dry. Danaher tells us the water can cure sore eyes and that the sick visited the well before sunrise. Flowers and religious objects used to be left at the well. Rags were also tied to the whitethorn trees as offerings. Legend has it that a woman washed clothes in the well and the well moved. St. Patrick heard about the well and blessed the well from a distance. It is said that St Ita walked to this point with St Brendan, as he would return home to Kerry with his carers. 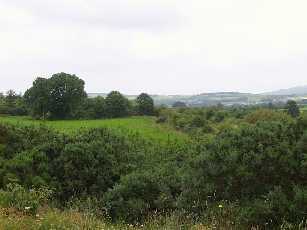 A small area situated on a slope on the lands of Mr Kieran Curtin in Ballybehy is known as the Altar Field. The old railway line runs along side the field. In penal times, mass for the people of the parish was said here. Nowadays, the field is overgrown by briars, and no one is known to visit the field.